It’s a Hajmola tablet with a coating of mint on it. The logic behind it, as per the company, is that one third of all the mint consumed in India is after meals. So now one gets breadth and digestion with a single candy. Priced at 50 paise per tablet, the Hajmola Mint Masti is a first of its kind in India. This move is a part of the company’s strategy to increase its foot print in the confectionary segment. The mint market however will not be easy to crack as it is led by companies like ITC, Cadbury and Perfetti van Melle which have a lot of experience in this segment under their belts and not to mention their deep pockets. But the FMCG major seems to be ready. It is planning to undertake both above the line and below the line activities to promote the Hajmola Mint Masti. A TV commercial is in the pipeline. Activities have been planned for colleges and offices. 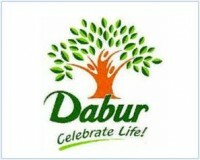 But will Dabur be able to crack it? The company has had a huge success with the original Hajmola tablet and the Hajmola candy. I think there is only 1 little problem. Will the consumers like the fusion taste of mint and Hajmola? Or will the company be able to develop it with time? I feel this is a nice innovation by the company and it will work out. Probably they can also try the reverse combination that is mint tablet with a coating of Hajmola. Let’s wait and watch how the consumers react to the New Hajmola Mint Masti! That is one dangerous path Dairy Milk is treading to. The new campaign shows the company’s intention to replace chocolate with traditional sweets. The advertisements have also used a typical family scene where Dairy Milk is served after food as dessert. This is a shift from the company previous strategies where Dairy Milk was a chocolate for a special occasion. The company has, for long now, tried to win over the Indian consumer. But chocolate, in India, is still an impulse purchase and this is an attempt by Cadbury to convince housewives to stock chocolate at home. I feel this is a shift towards chocolate being accepted in the main stream. There are some hurdles of course. In India chocolate has an image of being consumed by children and not meant for adults. Cadbury, the market leader in this category, has tried to expand the market with its ‘Kya swaad hai zindagi mein’, ‘Khaane ka bahaana’, ‘Shubh arambh’ and ‘Kuch meetha ho jaye’ campaigns. Its communication strategy has been trying to overcome this hurdle and it has been partially successful. Secondly, sweetmeats prepared with milk, sugar and ghee are considered to be full of goodness. There are emotions attached in preparing and serving sweets and it is an inherent part of our culture. The new campaign has tried to touch upon these aspects as well. Lastly, the Indian consumer is becoming health conscious by the day. As a result there are chances of a decrease in the size of this category. Chocolate as such is not considered very healthy. This is one aspect Cadbury needs to look at. Product innovation might be the key here. Launching light and variants for the calorie conscious might help. Overall, I feel this is a smart move by Cadbury. While the older generation might not like the idea very much, but there will be an acceptance among the youth. Certainly, not a bad strategy at all if one looks at the longer term.